Big news at iGina HQ today! After almost four years, we’re releasing an updated brand identity. I’m so excited to finally reveal to you, my updated and refreshed iGina rebrand, along with a new website, reenergized logo and a new set of brand colors and fonts. The revitalized iGina look is bursting with a new powerful energy and it once again feels like a true business representation. We’ve experienced significant growth and change over the last four years, from my very humble entrepreneurial start to the business that stands before me today, a boutique agency rooted in strategy that builds remarkable brands. I’m so proud! Often, I work with businesses that no longer feel connected to their brands, and earlier last year I realized that I also faced the same problem. Back in 2014, when I was a freelance consultant, the iGina brand worked, but I’ve changed so much, for one It’s no longer just me. iGina now consists of a small international team, and I started to feel that the brand was totally disconnected from the energy that the team and I brought to the business, it was time to make some changes. My goal was simple, I wanted to refresh our brand so it matched our new business values and purpose, as well as bridging a connection to the clients we now attract, our audience has also developed and changed. New fonts and new colors conjure a new feeling of alignment to our updated business messaging and services. It was the final element that brought our brand together! In a recent Q&A I answered the question How did you know it was time for an iGina rebrand? The answer was much longer, but the short version raised these 5 key points. I’ve worked with dozens of clients in this time, in more than 16 industries and from more than 10 countries. My client-base has evolved as well as their needs. I’ve become well known for far more (e.g. my signature offering) that wasn’t reflected externally. It was time to better reflect me and my future of iGina. 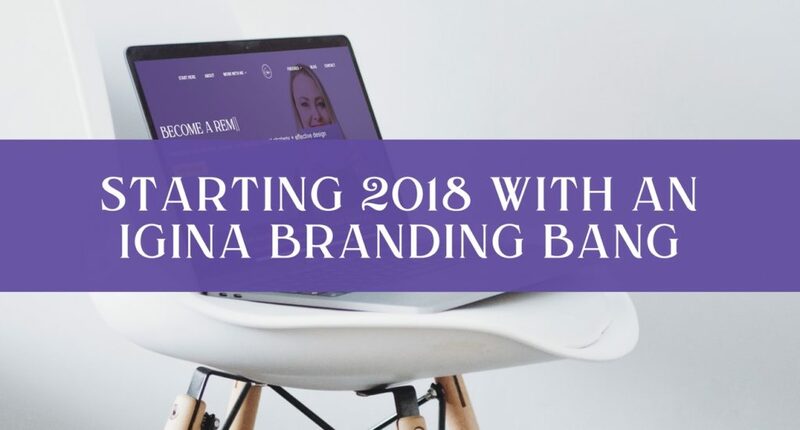 Over the last six months, behind the scene, I’ve been working away on the iGina rebrand, going through the same process I take my very own clients on. Along the way, I was able to call upon the help of some of those clients and I’d like to take the opportunity to thank the very talented Rubianca from Rubianca Photography who captured and provided all the new website imagery. So, now it’s time to pay our new website a visit. I cannot wait to hear what you think about our new look and feel.